Why do so many of us say we wish we could ‘escape to a tropical island’ when we’re stressed, tired and feeling hemmed in by urban life? The yearning to be transported to a place of sun, sand and turquoise seas relaxing without a care in the world seems to be universal. We all like to imagine kicking back in a hammock, swimming, sleeping and enjoying cocktail hour with a special someone, at sunset. So when babies are added to the mix, are parents obliged to give up the island getaway dream? In fact, you can still have a romantic holiday with a baby. 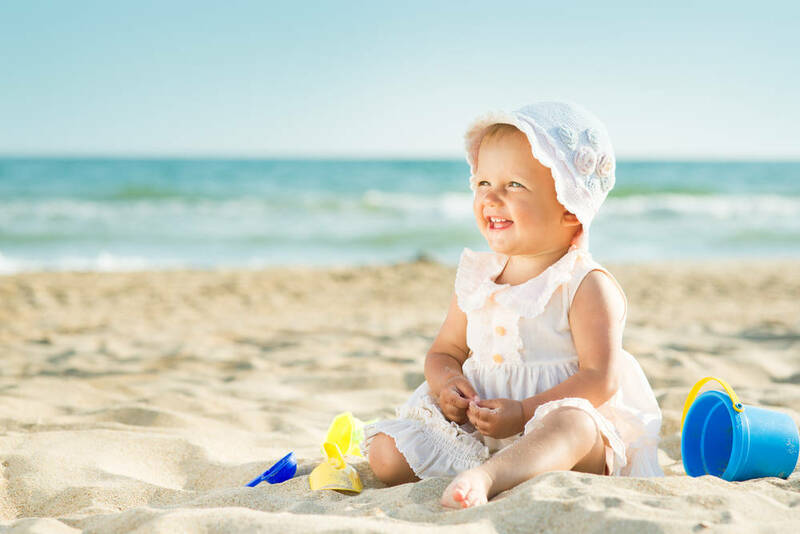 Island destinations make sensational holiday havens for babies and their mums and dads. There are hundreds of amazing resorts on islands in Australia and the Pacific that are dedicated to keeping the dream alive for new parents. In fact, taking family time out on a beautiful tropical island can be of huge benefit to you and your family. We did it when my daughter was two months old in an attempt to recapture pre-baby holiday memories. We wanted to test if it was even possible to enjoy sun, sand, surf and ‘together time’ with another travelling companion in tow. To our surprise it was … we just had to tweak the dream slightly. We shared romantic dinners in the restaurant, with baby asleep in her capsule under the table. We took walks along the beach, with baby in a sling and sun hat. We relaxed on the balcony together overlooking the ocean, while baby slept inside. We had mid-afternoon siestas – the three of us. Same, same … but different. So how do you decide where to go? First you need to factor in travel times and whether you can fly, or drive to your destination. Then you can decide what you – and baby – can manage, without losing it. The carefree days of a backpack each are on hold for now. 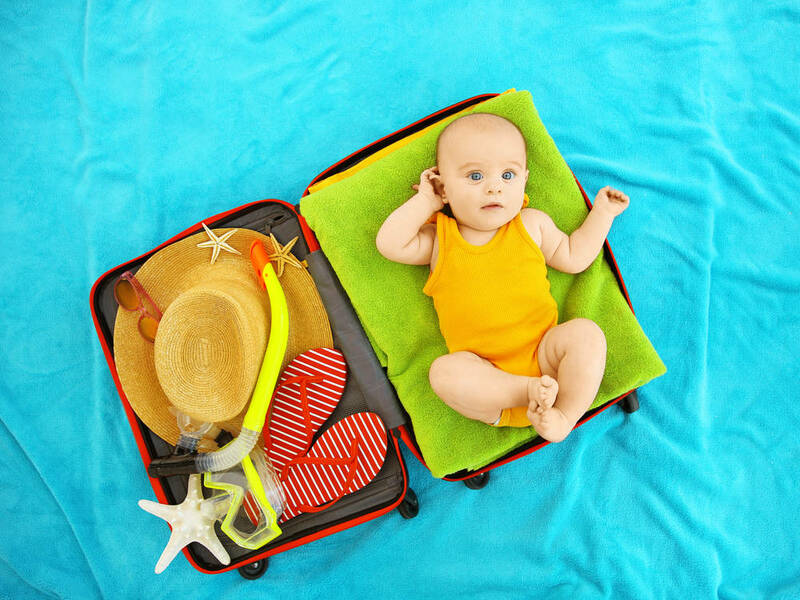 While babies are only small, the amount of paraphernalia they require makes travelling light a thing of the past, so be realistic about the logistics of the journey to your holiday island. If bub is a no-fuss type who loves sleeping, then the world is your oyster. If not, consider holidaying closer to home in Australia or on a short-haul flight, to New Caledonia, Vanuatu or Fiji. Just make sure that baby has a passport. 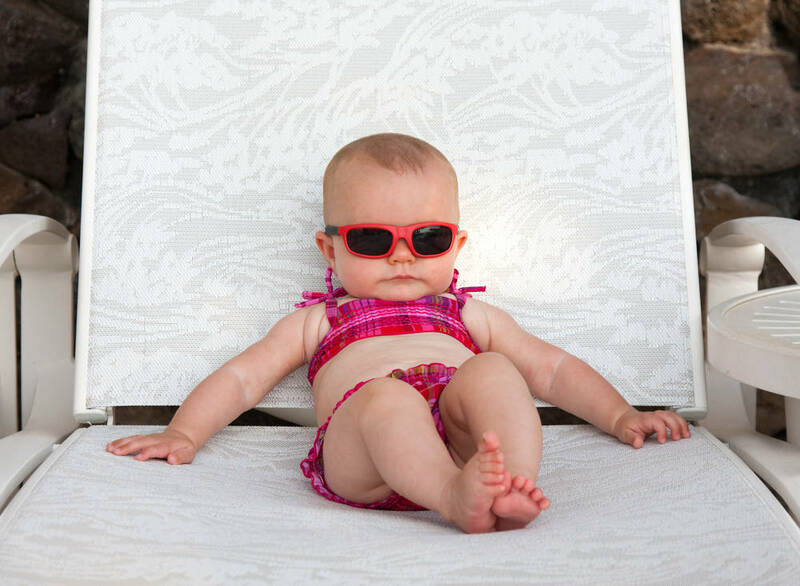 Pick a resort that caters for babies. Ideally, you want to travel with as few of the bare essentials as possible. Resorts that offer more than cots and highchairs (free of charge) get a big tick. 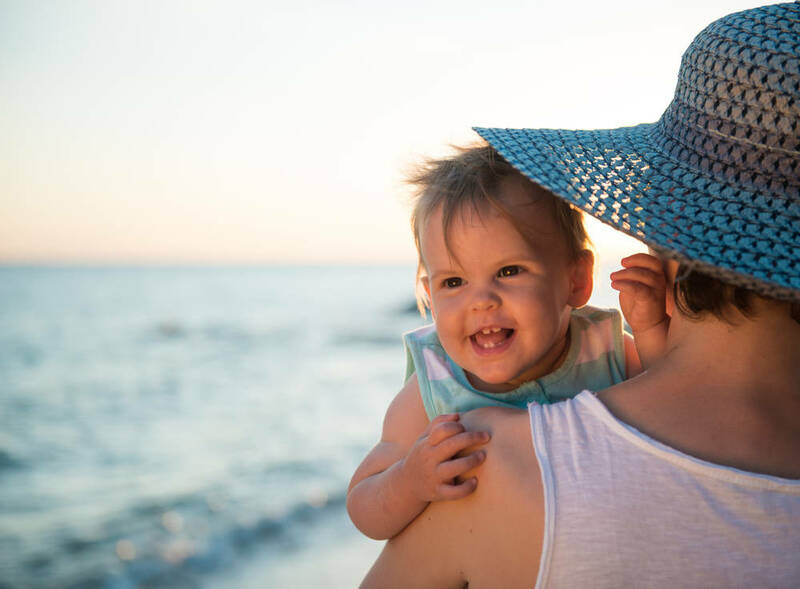 If you’re taking a stroller, ensure that the resort you’ve picked is easily navigable on wheels – with as few billy goat climbs and stairways as possible. Look for ones with easy and close access from your room to the resort’s main facilities. The rooms need to be spacious enough to allow you to sprawl out. Otherwise consider two-bedroom options. Fridges, kettles and decent-sized sinks in your room are all necessities for storing, preparing, heating and cleaning baby formula, food and equipment. If you’re hoping for some alone time on your island holiday, you’re in luck. Most family-friendly island resorts totally understand the attraction of an island holiday for parents. They subscribe to the theory that if the kids are happy the parents are happy. Many offer exceptional, and reasonably priced, in-room babysitting services and one-on-one baby nannies. Look for kids’ clubs with crèches and special facilities and activities for bubs. A tropical island getaway also allows you some time for YOU. So check out the day spa treatments, a round of golf, swimming, snorkelling, kayaking, cocktails at sunset. It’s all possible with a baby in tow, even if it means rostering grown-up activities and taking turns grabbing ‘me time’. Book in a babysitter and enjoy an hour or so each day, together. And with more and more families embracing multi-generational holidays, bringing nan, pop, siblings, friends and other cohorts along on your holiday guarantees babysitters on tap and promises loads of fun for all. 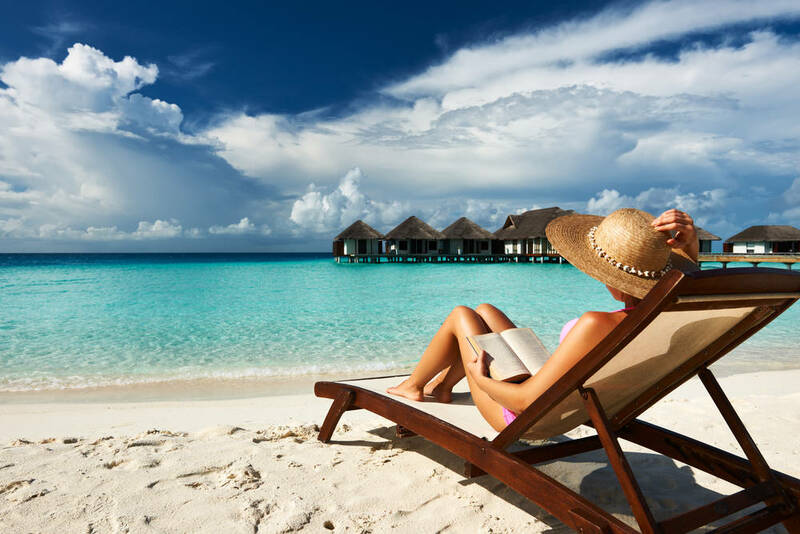 Great family-friendly island resorts now make this kind of holiday easy and stress-free and promise one of the best holidays as a family that you’ll ever experience. Clownfish Club Junior Childminding Centre caters for babies from six weeks old. Babysitting services are also available. Skippers Club caters for kids from six weeks old and babysitting services are available. You can also purchase nappies, formula, bottles and more and hire strollers. Open soon. Babysitting for as little as (approx.) AUD$3 per hour; a fantastic, affordable supermarket with baby supplies; special services for holidaying single parents. Fijian nannies available on request for babysitting. Babysitting available, kids club and the resort also has a great general store. Creche for babies, with activities and nap time scheduled daily. Stay 5 nights and receive five hours’ free baby-minding at the crèche each day of your stay, or pay as little as (approx.) AUD $4 per hour for in-room or crèche babysitting services. Babysitting and one-on-one nannies to take care of your little one available for the duration of your stay. Babysitting available at (approx.) AUD$12 for the first three hours and for (approx.) AUD$4 per hour thereafter. Child-minding (including in-room) available for (approx.) AUD$3 per hour. 40 of the resort’s 180 guest rooms include a handy kitchenette. Babysitting and childcare available (including in-room). Banana Beach Playland Creche caters for 0-4 year olds in a completely safe environment including activities and nap time. Cost is (approx.) AUD$ 40 per three-hour session. The crèche is open from 9am-9pm. On-call, qualified babysitting services available. The resort’s Preferred Family status offers certification for the care of different age groups including ‘0-2 infants & toddlers’. Babysitting is available as well as nappies, formula, bottles, cups, toys, clothing and medicine for babies.